New Year’s Resolutions tend towards the personal: lose weight, take up a hobby, spend more time with the family, get up earlier, read great books, etc. But this new year I beg people to take some time to learn more about bioethics. The stakes are high. Our definitions of life, death, and human dignity are up for grabs, so we must not abdicate our moral duty to be informed about such weighty matters. Few controversial topics in our society are more important and less understood than bioethics. The average citizen doesn’t need to take a college course to be able to understand and talk about the basic questions at play today. They should seek to get a grasp on some of the more prominent practical questions at play, including stem cell developments, assisted suicide, reproductive technologies, animal rights, and the quality of life concepts in healthcare. Many of the current trends in these scientific arenas are unsettling (some possibilities sound like dystopian fantasies), and it is our collective moral duty as a society to establish legal restrictions and moral guidelines for these trends. 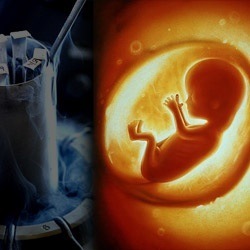 One concerning development is the increasing acceptance of discussions over infanticide. Something as blatantly abhorrent as murdering babies would strike the average American as unquestionable, but this is not the attitude of all in the bioethics community. In other words, utilitarian judgments made by a physician/government/parent could provide the basis for killing a child. Assisted suicide is also on the rise. Currently in the U.S. there are three states that have legalized it, four more that have legalized it in part or are in the process of trying to legalize it, and another two that are entertaining it. Over the border, Canada is currently considering a bill that would legalize assisted suicide and give it wide berth, essentially opening it up for anyone who has a significant disability or illness resulting from trauma for which they do not desire to seek treatment. The western world is quickly moving towards wide-open access to assisted suicide. This trend, when combined with quality-of-life and futile-care healthcare concepts, could lead to outside players deciding when it’s time for a patient to “die with dignity”. While we’re finding new ways to kill legally, conscientious objection may no longer be an option. Ontario is looking to follow Victoria, Australia’s path by establishing a law that would require all physicians to refer any abortion-seeking patient to an abortion-providing doctor if they are not willing to perform the abortion themselves. In other words, they are telling doctors that they don’t have to murder a baby, but they do have to recommend someone who will. This kind of legislation will eliminate the possibility for Christian medical professionals to continue to practice ethically despite an unethical system. Recent developments in stem cell research point to the possibility of children one day being born from a single parent, by deriving both sperm and egg from a single man. As the technology stands now, this would be a long way off (and may prove impossible), but the moral implications of such ideas must be discussed before the technology is upon us and a rush of money is pushing things forward so fast that the public can’t catch up. This is the trouble with bioethics questions in general. The questions revolve around cutting-edge scientific developments, and it’s incredibly difficult to get good science reporting from anywhere outside of journals and periodicals produced by the scientific community. Sadly, that community tends to be insular and self-affirming, often sneering at anyone who would dare place moral blockades to the “advance of science”. This puts the public in a difficult place, struggling to gain the knowledge necessary for making moral choices as a society but finding that the only sources for this knowledge are writers who spurn the very idea of society placing moral limits on science. Despite these difficulties, we must do the work to become informed. It’s easy to see how scientists could get lost in the moral weeds, particularly when our culture has glorified them and their goals to the exclusion of almost all other considerations (How often do you hear talk of negative comments about someone “standing in the way of science” or “resisting scientific progress”?). The average person has a more even, well-rounded perspective than many in the scientific community, and I would hope they would see the need to set moral parameters on actions done in the name of science. That’s why it’s so essential that the average American learn enough to weigh in on this conversation. Consider: There have been many positive developments for the pro-life effort in recent years, but that’s partially the result of decades of hard work by committed conservative Christians to explain what abortion really is to their fellow citizens and argue against the practice. Unfortunately, many of those same conservative Christians lack this same level of knowledge when it comes to more complicated and obscure bioethics issues. Pro-lifers will lose the next stage of this argument unless they become more informed. The graphic abortions we have known over the past few decades will soon be largely a thing of the past, but we may be killing more unborn children than ever before. It just will be less obvious. It’s not so much the left or right that will be deciding what “life issues” will look like in the next few decades – it’s the scientific establishment. Unless, that is, the public takes steps to become more informed. So here’s one new year’s resolution everyone should make: learn about these issues. You don’t need to take a college course, just pay attention and seek out articles. You could start with the following: news and analysis by NRO’s Wesley J. Smith, BioEdge for helpful news, The New Atlantis for broader technology and ethics discussions, and the Oxford Christian Bioethics journal. On top of that, if you really want to dig in, you could set up a site like Google News with keywords like “bioethics” and “stem cell research”, to pull in relevant news stories from a vast array of sources. But more than anything else, the key is not so much in finding the perfect source to read – the key is the willingness and drive to delve into bioethics. When you hear something on the news, pull out your smartphone and spending 15 minutes trying to begin to get a handle on what is actually going on. Then, tell others what you know, because most people don’t have a clue, and most members of the media are not actually informed enough to be a reliable help. And then let your voice be heard, publicly. In the very least, we must insist that all people, including scientists, submit to moral standards of human dignity, but without more knowledge, we won’t know when to insist.